Terminating an employee can be a tough job. Learn what is the best way to terminate an employee as a manager! 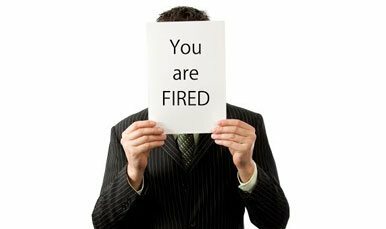 Beware of factors that can lead to wrongful termination and lawsuits. This course specifically describes all aspects of termination and post termination consequences. Ethics and Code of Business conduct is designed for all employees, from entry level to the executive office. The course is especially important for managers, human resources and legal professionals who are responsible for developing, fostering and managing ethical workplaces, policies and processes. It is also recommended due to the significant costs associated with litigating claims of corporate unethical conduct. Effective HR training courses improve employee satisfaction and loyalty towards the organization. HR training clearly defines roles and responsibilities of the HR within an organization and improves performance. HR training helps to resolve conflicts and complicated scenarios, as smoothly as possible, between employees. HR training can also cover fine details such as identifying which benefits and services employees qualify for or don't. Online HR training courses are automatically graded and help to quickly assess the strengths and weaknesses of employees. Employees can attend online HR training sessions from anywhere at anytime, even from the comfort of their homes. Online HR courses can be instantly taken from a web browser. No installation or software download is required. ProProfs is cross-device compatible and HR courses can be easily accessed from laptops, tablets or smartphones. Introduce employees to sexual harassment identification and prevention to foster a safe and productive work environment.